This week is Bake Off – Pastry Week! 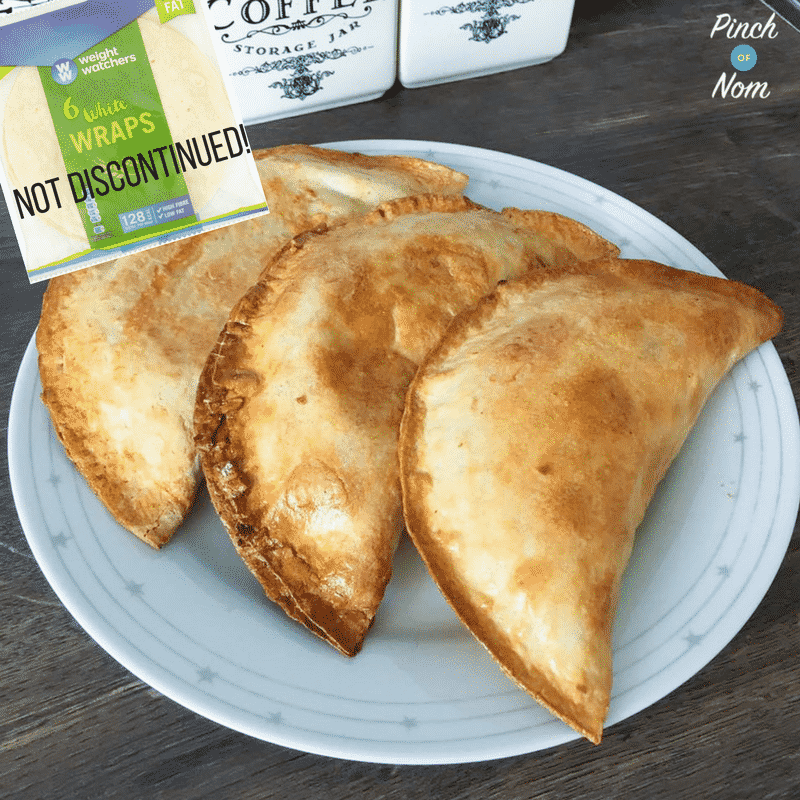 Pastry is something of a nemesis when it comes to weight loss but since finding the Weight Watchers Wraps, we’ve discovered that they’re an amazing substitute for pastry! 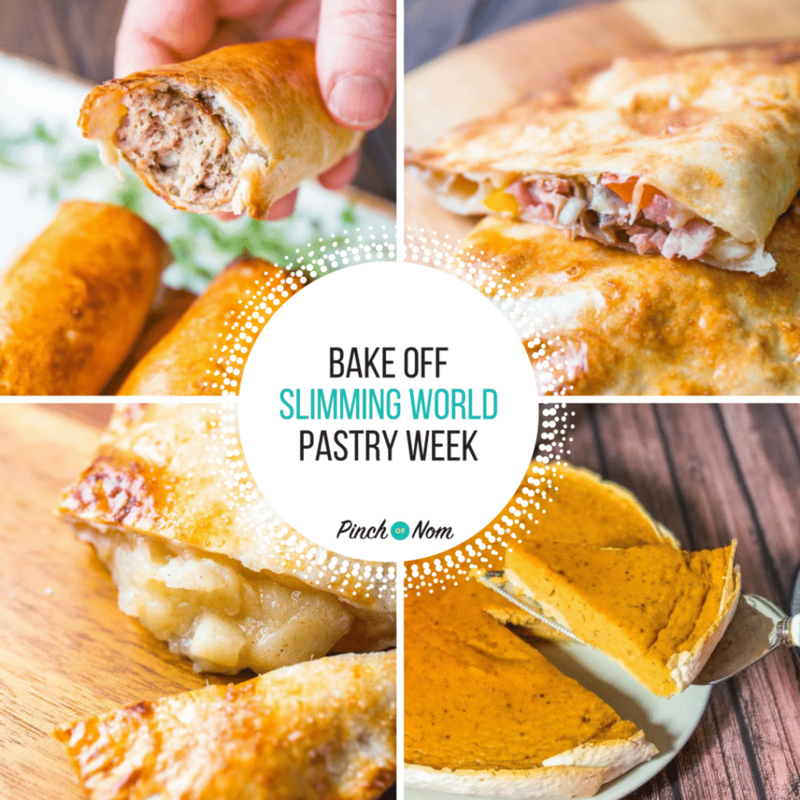 Here are our best Slimming World recipes for Bake Off – Pastry Week! These have been a HUGE success over on our Facebook Group and loads of people have shared their love of these 1 Syn Corned Beef Pasties. 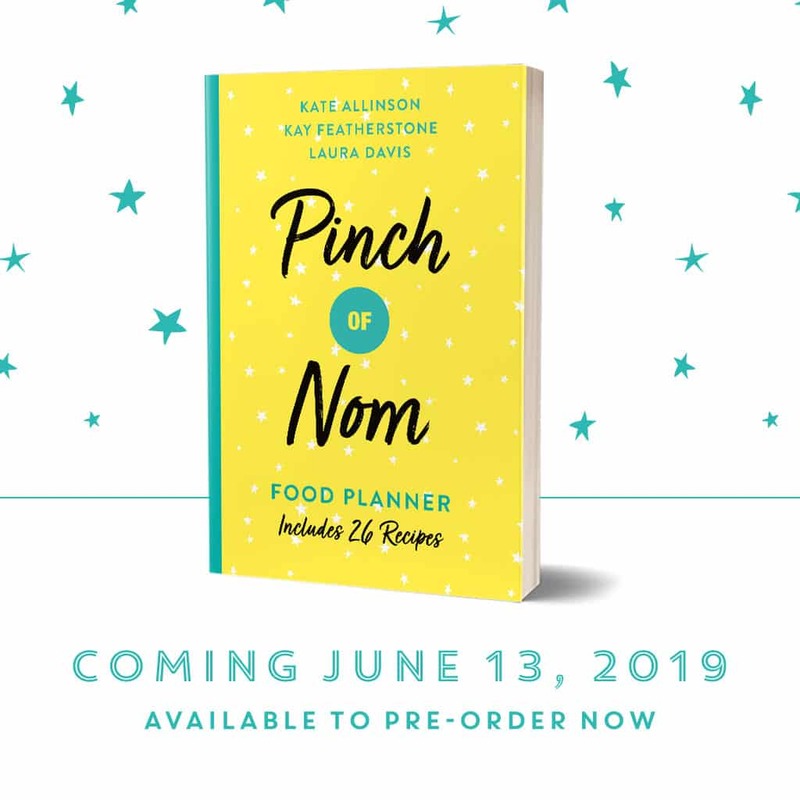 Perfect for lunches, or as part of a main meal! With Slimming World Christmas Tasters coming up, these Syn Free Sausage Rolls are perfect to take along. 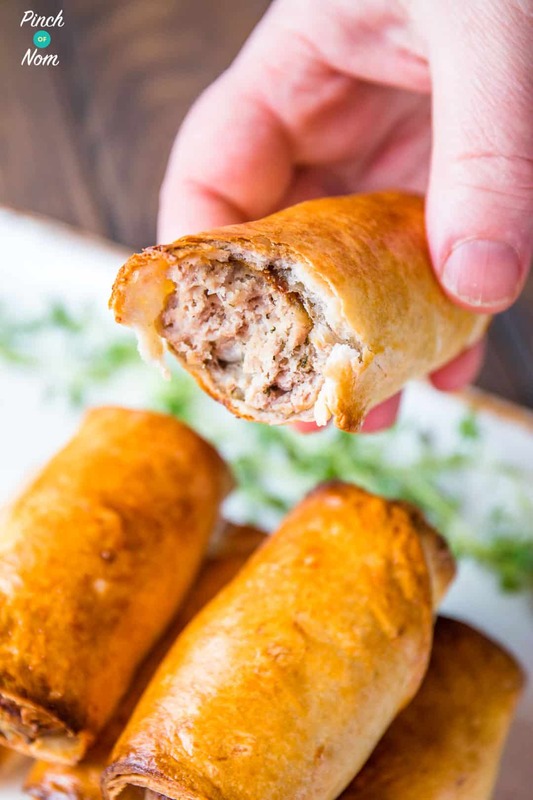 These Slimming World Syn Free Sausage Rolls are perfect for anything, a snack, party or lunch! And you can guarantee that they have less syns than anything on Bake Off – Pastry Week! 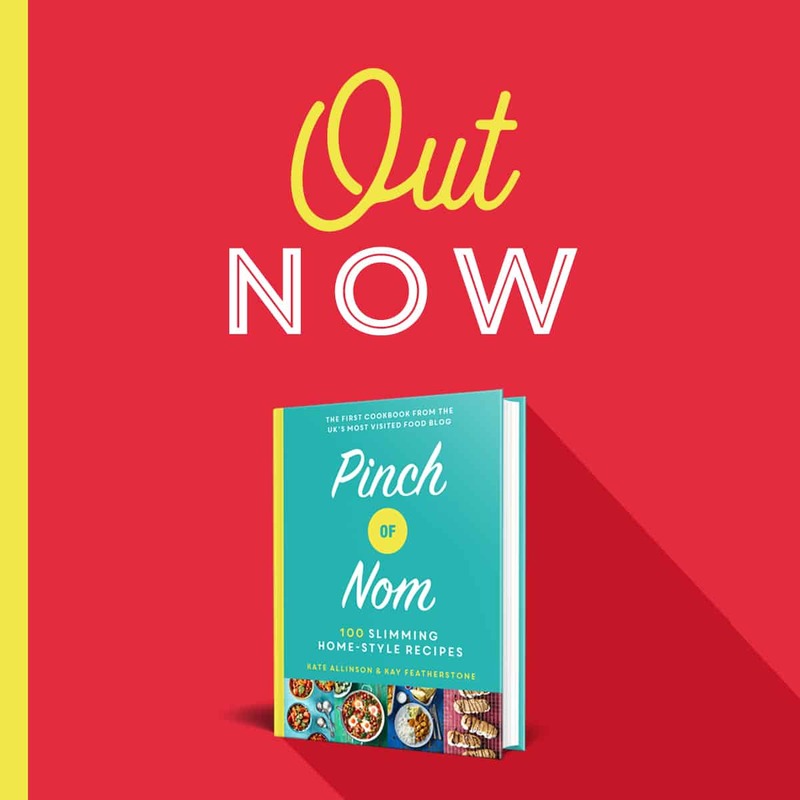 The Weight Watchers wraps aren’t just good for savoury recipes – we’ve got plenty of sweet recipes too! 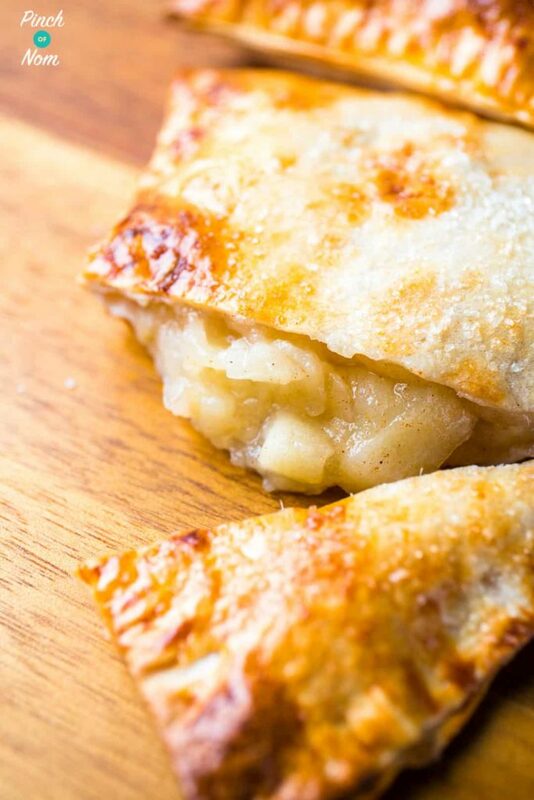 These 1.5 Syn Apple Turnovers are just delish and perfect with a dollop of low syn custard, or even some reduced fat squirty cream! 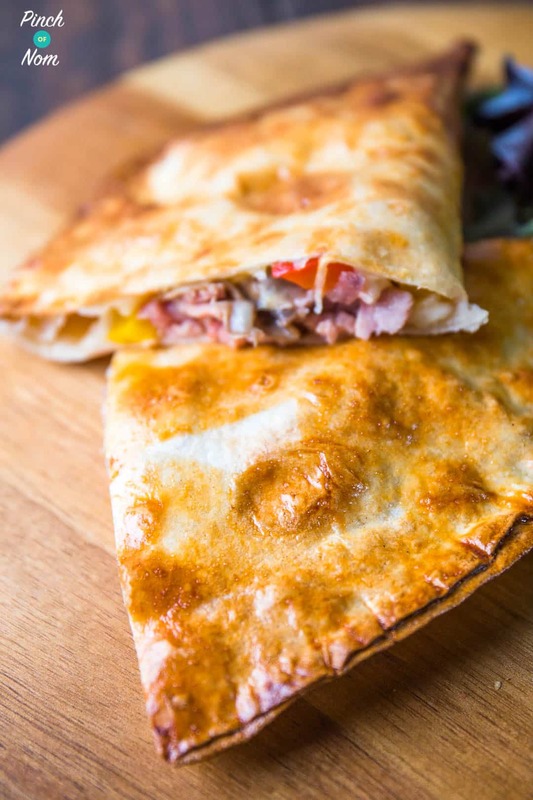 This Syn Free Ham and Mushroom Pizza Calzone makes the perfect dinner. Oozing with cheese and pizza toppings, but best of all Syn Free!! 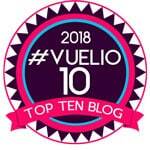 Loads of our Facebook Group members have made it, and found them delish! We love all things pumpkin at this time of year. 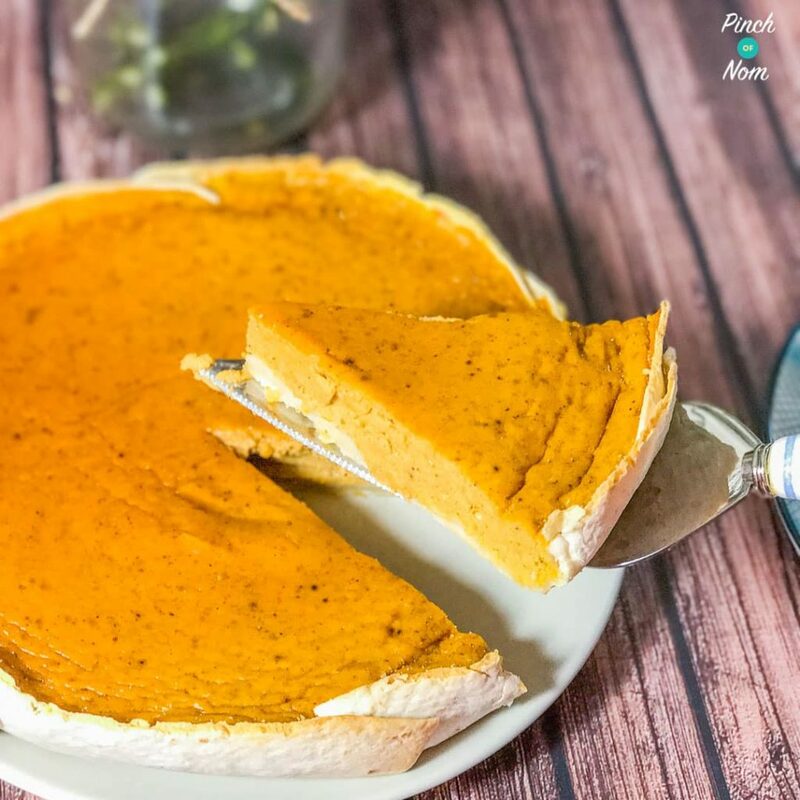 This Slimming World friendly Low Syn Pumpkin Pie is the perfect Autumnal treat! You wouldn’t believe that the pastry isn’t the real thing! 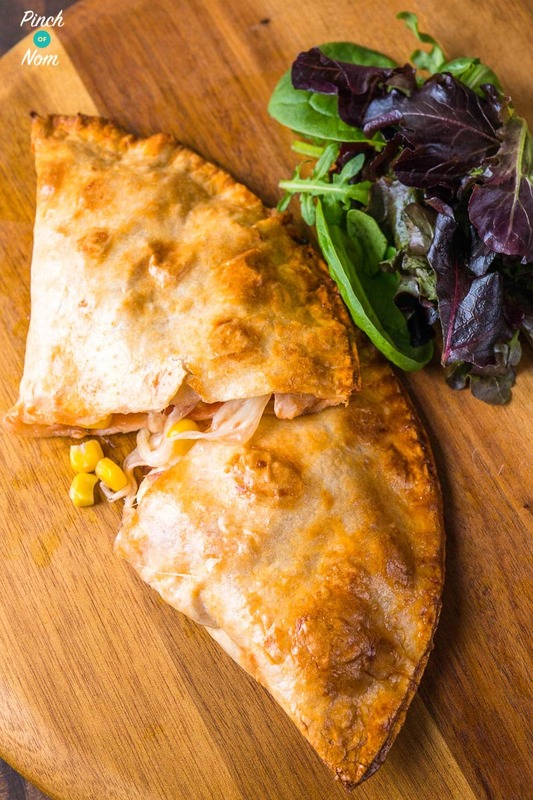 This Syn Free Chicken and Sweetcorn Pizza Calzone has all the classic pizza flavours, without all the syns. You would never believe that this was a weight watchers wrap instead of a folded pizza base! Makes a tasty lunch or dinner and you can try it with whatever sides you like. 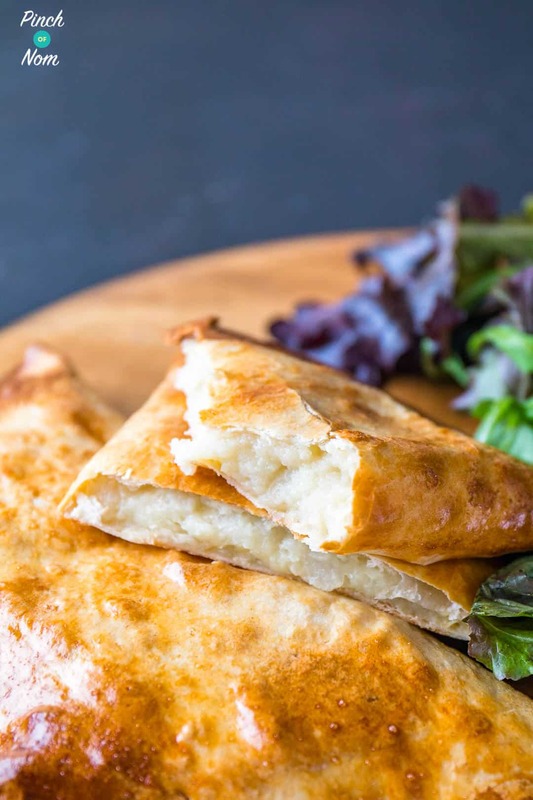 These Syn Free Cheese and Onion Pasties are the perfect Slimming World Treat, and certainly saves on Syns when compared to the ones from the bakery! 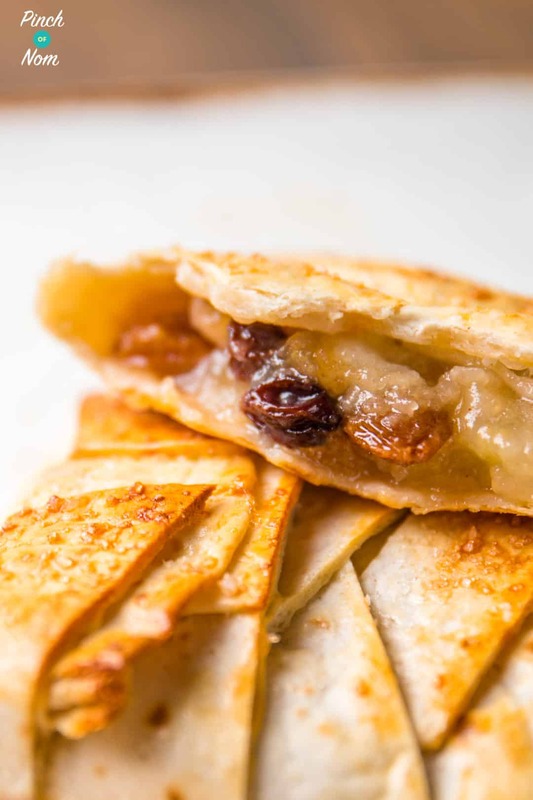 These 2 Syn Apple Strudels are our Slimming World friendly version of the popular Austrian dessert, Apple Strudels. They’re not quite the butter filled version you might see on Bake Off – Pastry Week, but they’re certainly an excellent alternative! 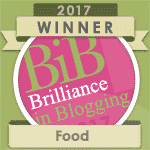 Enjoyed our Bake Off – Pastry Week round up? Try some of our other Bake Off inspired recipes! Thanks for getting in touch. So glad your family are enjoying the recipes too!